SodaStream has been railing against plastic waste almost since it came into existence. Credit: Ted Eytan. Anyone looking for proof that the beverage industry is worried about the “war on plastic” got it on August 20th when PepsiCo announced an agreement to purchase Israel-based SodaStream International for the hefty price of $3.2 billion. That price represents almost a one-third premium over the carbonated drink machine maker’s 30-day volume weighted average price. Rumours have been flying about PepsiCo buying SodaStream for years. Two key factors turned those rumors into reality on August 20th. First, PepsiCo has no real answer for the war on plastic. Metal can packaging works well for single-serve soft drinks, but is not practical or economical for larger-size packages that must be resealed. Second, PepsiCo recognizes that bottled water has “won the war” over carbonated soft drinks and there is no turning back from here. Global per capita consumption of packaged water passed that of carbonated soft drinks (CSDs) in 2015 when the average consumer downed 31.6 liters of packaged water versus 31 liters of CSDs, according to GlobalData. The gap between the two has widened since then as consumers continue to move away from sugary drinks. GlobalData forecasts that per capita packaged water consumption will hit 34.6 liters in 2017 versus 29.9 liters per capita for CSDs. The war on plastic is even more of a volatile issue, having boiled over in 2018. Single-use plastic straws went from non-issue to crisis in just a few weeks. The same could happen for plastic beverage packaging. China’s near ban on imports of scrap plastic recycling waste this year is a ticking time bomb for a beverage industry which lacks viable alternatives. Since 1992, China has absorbed 45% of the world’s plastic waste, according to National Geographic. Nobody is quite sure where much of that plastic waste is headed now or how consumers will react when they find out that plastic waste they thought was being recycled is actually being dumped in landfills because it has nowhere else to go. This news could accelerate the push toward plastic-free packaging. A GlobalData 2018 Q3 survey found that 35% of consumers globally said they would buy more products packaged without any plastic at all, or buy products like this more often. Support actually rises with age. 47% of 65+ year-olds are bullish on the concept. SodaStream has been railing against plastic waste almost since it came into existence. The company estimates that one refillable SodaStream bottle can prevent one family from using and discarding 3,700 cans and plastic bottles. SodaStream also maintains that its consumers drink more water than average. 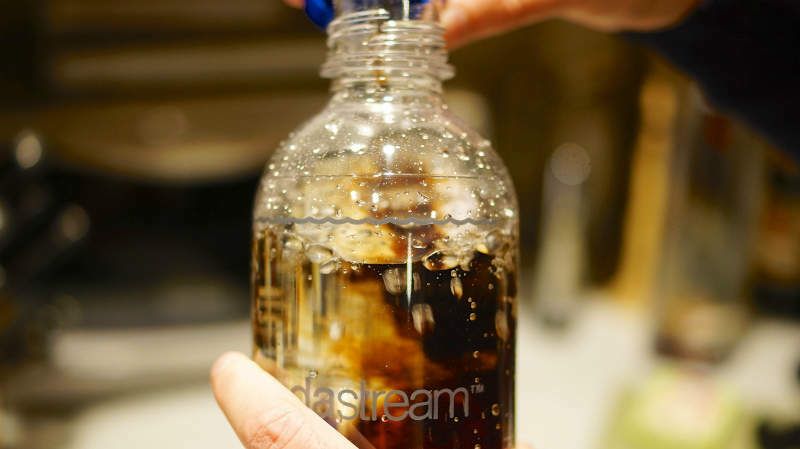 According to the company website, SodaStream users drink 43% more water on average than non-SodaStream users with at least some of that replacing CSD consumption. You can bet that PepsiCo will be doing some serious forensic analysis of this phenomenon. Indeed, consumers are increasingly turning to sparkling water as a CSD alternative. In 2017, sparkling water sales grew 38% in the US compared to 7% growth for packaged water overall, according to The Wall Street Journal. Marketers of CSD alternatives like fruit juice, coconut water, cold brew coffee, and ready-to-drink tea are also seeing the light and are adding carbonation to their drinks to pick off CSD buyers. For CSDs, this is death by a thousand cuts. PepsiCo knows the drill, having launched its own new sparkling water brand – Bubly – earlier this year to take advantage of this shift. As hot as SodaStream is (company revenue increased 31.3% to $171.5 million for the quarter ended June 30, 2018) the company has not turned making CSDs at home into a mainstream phenomenon. Revenue for SodaStream flavors grew 8.3% for the nearest quarter, less than half the revenue growth rate for carbon dioxide refills which expanded by 16.8%. This suggests that SodaStream’s growth is mainly coming from making sparkling water, not CSDs. Consumers are interested in the do-it-yourself concept, but there are significant barriers to adoption. SodaStream’s lowest price water carbonation machine – the Fizzi sparkling water maker – carries a retail price of $79.99 which is about 80 times more than a liter of packaged sparkling water. The starter pack comes with a one liter reusable plastic bottle and one carbonating cylinder that carbonates up to 60 liters of water. The carbonating cylinder does require replacement, and that could generate sticker shock. A replacement cylinder retails for $29.99 and bottles of flavor concentrate run for up to $5.99 for a 440ml bottle which makes up to seven liters of CSD. These costs add up in a hurry and the initial price to get started is well outside of impulse purchase territory. The consumer has to be playing a long game to sort out the economics of SodaStream and make them work. PepsiCo’s learning curve will be steep, but at least the company will not have to start from scratch. That did not work out too well for Coca-Cola and Keurig Green Mountain who paired up to launch Keurig Kold CSD-making machine in 2015. Consumers never warmed up to Kold and it was pulled from the market a year later. PepsiCo could also use SodaStream as a test platform for all sorts of interesting initiatives including novel sweeteners or customized sugar levels as well as “internet of things” innovations like Amazon’s Dash Replenishment Technology which is beginning to penetrate the beverage market. Earlier this year, illy North America launched the Illy Y5 system, a single-serve espresso and coffee system that integrates the Amazon Dash Replenishment System. The illy Y5 machine tracks coffee capsule usage and automatically reorders more capsules before they run out. It does not take much imagination to picture PepsiCo doing the same thing with SodaStream and its flavour concentrates and carbonating cylinders. SodaStream may offer PepsiCo a relatively low-risk way to map out the future for CSDs without putting its core brands at risk.